The United Nations will shift gears in the selection process of H-1B visas next week. A new rule will be implemented for US companies hiring foreigners. A petition will be filed to grant foreign students for higher academics at US institutions. 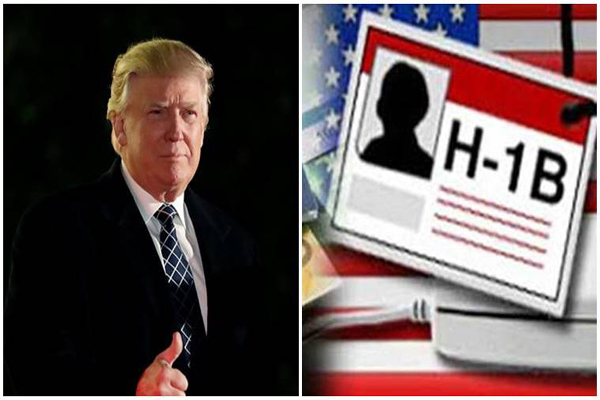 The new rule proposed on Friday, 30th November applies to the H-1B visa workers hired by US companies to first register electronically with the USCIS (United States Citizenship & Immigration Services) for the designated period. The new changes also include work authorization for spouses of H1B visa holders instead of becoming Green Card holders. Co-head of Boundless Immigration, Doug Rand said, “The Trump’s administration stated goal for the entire H1B system is to shift more of these visas to the ‘most skilled or highest paid’ foreign workers”. He added, “This new proposal is the beginning of an H-1B overhaul through DHS (Department of Homeland Security) regulations, however, which would be more difficult for a future administration to reverse”. The new rule still in due will improve the estimation upto 16% for those with a master’s degree or higher from a US institution of higher degree. The USCIS which runs the H-1B programme verified this new rule. The USCIS will select the candidates limited to 65000 from India, China and few others. The other 20000 will be for foreign students with masters & higher degrees from US institution. The new rule will take atleast one year to come into effect.